mwe3: Most of the fans know you as the leader of the rock band Glitch Code, yet with your new solo album, Omertà youve created a soundtrack album for a movie that hasnt yet been created, filled with plot twists and turns that you scripted yourself. How do you account for such a wildly diverse palate of music, are the two albums at all connected and what made you want to make an album as challenging as Omertà? 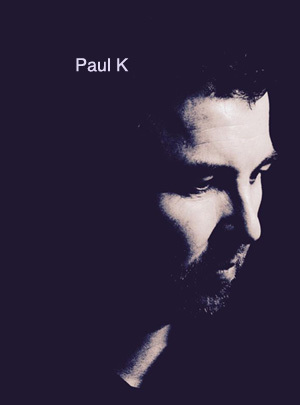 Paul Kirkpatrick: The two albums are closely connected by a few different elements. Most noticeably, I would say, because most of the same musicians have played on both albums. I have a core group of go to players who understand how I work and my influences and they just get it. I write everything on the initial demo and then give it to them and tell them what I was thinking when I wrote it and they then interpret how they feel it should sound. We may go through a few iterations but normally it is a very fast process. The theme of the Glitch Code album Gifted_Damaged, also plays out in the Omertà storyline, but from the perspective of inflicted damage, caused by witnessing an horrific event at a young age, as is the fate that bestows the young girl in the storyline. Writing wise, I think because I have a diverse and varied taste in music myself, this flows through into the sound and texture of the music I create. Im very much more into the tone and timbre of sound rather than what genre it sits in and I try not to let any conventional understanding of how a genre should sound get in the way of creating something different. I had the idea for the Omertà project during the writing process for the Glitch Code album. Some of the initial tracks were sounding good as instrumentals and didnt quite fit with what I was planning for Glitch Code, but seemed to form another cohesive set of tracks. Id always wanted to do an album based around bass, cello, piano and electronic sounds and these tracks seemed to be forming around those instruments. I also wanted to be able to experiment with things like the Theremin and more orchestral percussion and Omertà was the perfect vehicle for that. As I wrote the pieces they evoked strong imagery in my head that I was seeing as scenes in a movie, so I started to form the idea of the plot line for a film and wrote and named the tracks to work around that plot. Its great to write for a story as it forces you to really think about the running order and what emotion the piece should evoke in the listener. mwe3: How long did it take you to create the music on Omertà and also how would you compare it to your other instrumental albums? Is Omertà your best one yet? How many solo albums have you made so far and how do you feel your solo music evolved over the different releases? 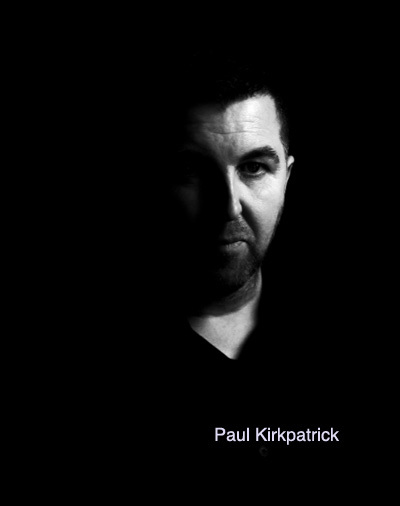 Paul Kirkpatrick: Ive made two solo albums so far, Soul Connection around 2008 and now this one. The music has definitely evolved in a very organic way in that on my first solo album I played everything and it was far more electronic, with more experimentation with samples and programming. On this album the rules were everything had to be played and created with no samples and that led to a more organic feel with the cello, trumpet, percussion, piano etc. I think its my best work to date and Im very happy with the evolution of the sound. It took about 2 years to make as I had to fit it in around the Glitch Code writing and recording and around the schedules of the musicians I wanted to use. I decided to mix it myself as I had a specific way I wanted it to sound that I had developed over the writing process. mwe3: Who worked with you on the Omertà album? 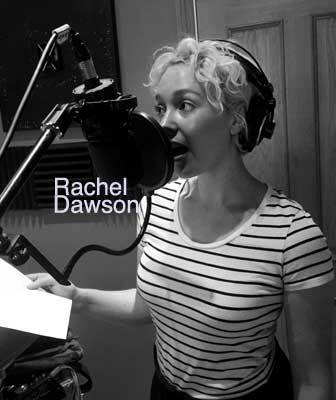 You mention some of the players that appeared on the Glitch Code album but Glitch Code singer Rachel Harvey is not on the Omertà album. People who were amazed at the Glitch Code album artwork will be even more delighted at the Omertà album art and packaging. It almost seems like an equal amount of time was used to create the album artwork, which is truly mind-blowing. Shes saving herself for the new Glitch Code album! I also used a local priest, the Rev. Julian Bowers, to recite the Salve Regina at the end of Lay Preacher in Latin. All is revealed in the screenplay. Im really happy with how the artwork was developed. I had been capturing imagery for a couple of years around the themes of the tracks. We did a photo-shoot with Mel Bailley for the main images of the girl and I then produced a series of digital collages for Laurence Stevens, who also did the Glitch Code artwork, and between us we created the 44-page booklet. Weve created a series of postcards and prints as well to go with this release, which look great and some of the imagery has transferred onto the videos I have been making to support each track. mwe3: Omertà sounds very progressive, as in progressive rock and also progressive soundtrack and even neoclassical / electronica. Many albums these days are created in order to relate to a specific market but it sounds like you went the other way and merged instrumental music that will appeal to a wide range of musical markets. Did you purposely add all of those elements into the mix? 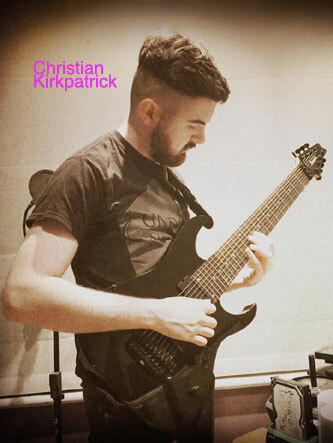 Paul Kirkpatrick: Yes, because as the album is written as a soundtrack it allowed me to experiment across genres to really capture the emotion of the scene each track was portraying. I realized a lot of the instrumental tracks were sounding like part of an overall piece of work that gelled together even though it covered several styles. There are also a couple of improvisation pieces on the album, which were tricky to do as they didnt have a specific time signature. Adding more layers to these took longer than normal as I was literally calling out the changes as we recorded and trying to remember what I had played! We actually put the wavs on a big screen in the studio and played to the timing of the playhead in Logic. With the range of styles on the album it opens it up to a wider audience but the key was still making it flow as one piece of work. mwe3: Tell us about your studio set up. It sounds like Omertà was recorded in a state of the art studio. I know you worked on the Glitch Code album at Tony Viscontis former studio, Good Earth. What do you look for in a recording studio, soundwise, what studios are among your favorites and also tell us how you worked with your mastering engineer, Barry Grint to get the sound right. Paul Kirkpatrick: Actually, the recording of this album was deliberately lo-fi and most of it was recorded in my home studio. We used a studio nearby, called Premier Studios, for the final drums and percussion but nearly everything else was recorded by me in the Basilica, my studio. The beauty of this is I could spend hours playing around with the sound and mixes. 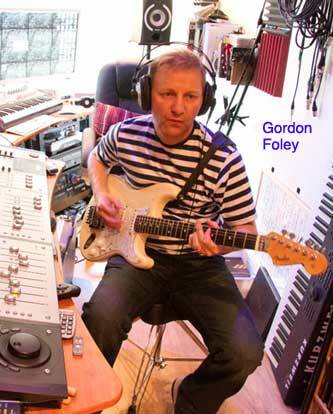 Gordon recorded the guitar and ebow parts in his studio and we exchanged files until we were both happy with the parts and the tone. when seeking out a studio as I love the warmth they add to the sound. I have a chain of plug-ins I use to create my sound and at the last minute, as I mixed the album, Tony Visconti and Eventide brought out the TVerb plugin which completely changed how I was handling reverb in the mix. Its based on Tonys 3 mic setup from his time working at Hansa in Berlin and it works great across all the mix and individual elements. I would have loved to have recorded at the original Hansa but the big hall is no longer there. Barry Grint is an amazing mastering engineer who owns and runs Alchemy Mastering in London. Hes mastered and cut vinyl for the biggest names in the business and I love watching him work and hone in on a frequency that is bothering his ear, or making the snare drum really sound tight by just tweaking an EQ here and there. Its definitely an art form. We mastered most of the album in a day with just a few changes here and there after listening back for a week or so. His mastering room has great acoustics and you can hear every nuance of the sound, which helps you really get the great bottom end on the tracks, which is one part of Omertá that I really concentrated on. mwe3: How many tracks did you compose for Omertà and how did you decide on the final cut? Do you have some personal favorites from the CD or are the songs all connected, making it hard to choose favorites and were any tracks left off the final release? My favorite track is Ashes In The Snow because its the first track Ive released with my son playing lead guitar and we had such a great time recording it together. I think it just works as a piece of music and is very emotive and anthemic while at the same time delicate and calming. Its definitely the best cello refrain I have written and Julians beautiful fretless bass just brings it to life! mwe3: What keyboards were used primarily on Omertà and has there been any news and/or developments in the gear / tech world that captures your interest? Paul Kirkpatrick: My favorite keyboard is my Kurzweil. The piano, organ and Rhodes sounds are so rich and full. The piano on The Code really shows this off, particularly on the low notes. Im also a massive fan of Omnisphere from Spectrasonics and all of the Native Instruments virtual instruments, particularly Kontact and Reactor. Ive also used a lot of the Output virtual synths on this release (Revs, Signal and Exhale). I actually had to stop buying new virtual synths during the recording or I would never have got the album finished! Im always looking for new soft synths and plug-ins. Ive got quite a few physical keyboards but I find them being used less and less as I develop my sound and Im always looking for that next special sound that can inspire a whole piece of music. Ive just downloaded an Omnisphere extension pack based on the Joy Division sound, one of my all time favorite bands, so thats going to be fun to play with on the new songs. mwe3: The liner notes for Omertà compares your music to the way that Stanley Kubrick used Wendy Carlos and also The Chieftains music in his movies. Do you feel that Kubrick would have loved the music of Omertà? What are your favorite soundtracks and can you compare your style to other composers that you like? Paul Kirkpatrick: I buy loads of soundtrack music, especially if Ive seen the film and it had a big impact on the story, although I also buy a lot from films Ive never seen. Im a big fan of Clint Mansell, Ryuichi Sakamoto, Trent Reznor & Atticus Ross, David Arnold, John Barry, Herbert Gronemeyer and Ennio Morricone to name but a few. My favorite soundtrack recently is the Ben Salisbury & Geoff Barrow score for Ex Machina. Great film really enhanced by the soundtrack. It would be nice to think that Kubrick would enjoy Omertà but I think I would enjoy him directing the film even more if he was still with us! mwe3: One of my favorite tracks from Omertà is A Long Way From Home which is one of the more rock based tracks. How does that track fit into the concept? Paul Kirkpatrick: That track was one of the ones that was constantly on and off the track list as it evolved. It is a more guitar-based track with the strong acoustic, electric and eBow parts but it had such a great energy about it that in the end it made the cut. Its the track I imagine playing while the movie recounts a long journey both physically and spiritually for the main character that eventually brings her back to where she started the story. Thats why the acoustic refrain comes back in again at the end to signal that she has been on a journey but in the end there is no where to hide. mwe3: Also Apparition is a wonderful Omertà track. It relates to the girl in your screenplay, finding a way to trap the murderous priest. The track has a great feeling of freedom and expansiveness to it. Is that the way you see it? Who is playing what on that track? It doesnt even sound like theres any guitars on it yet it has a great driving beat with excellent female vocals. Paul Kirkpatrick: This track evolved over a couple of years and youre right, there is no guitar on it. 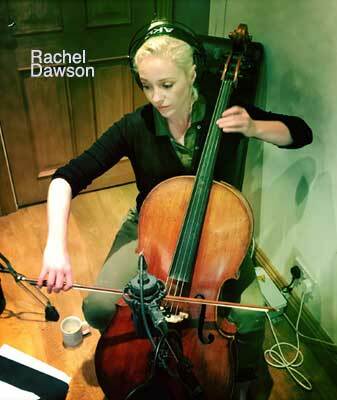 Its basically me on Rhodes, piano and synths, Julian with a great fretless bass part and Rachel on cello. You wouldnt believe the amount of drum patterns we tried on this track to replace the guide hand claps I put down when I was writing and, in the end, it was the hand claps that gave it that presence! 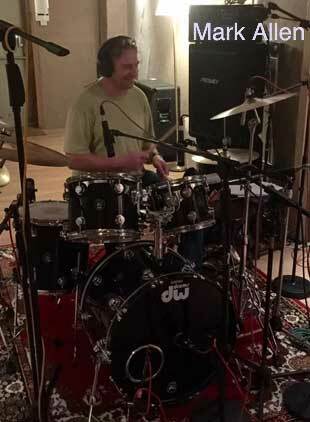 So we re-recorded them when we were doing the main drum sessions with myself, Mark and the studio engineer Justin standing round a mic clapping the 3 main patterns. Interestingly the female vocal you can hear is me using Symphony of Voices inside Omnisphere and then a whole heap of Tverb and delay. I think its the harmony of the voice and the layered cellos that give it that expansive sound with just a touch of percussion here and there. mwe3: Neon Gods is another Omertà track that is very much rooted in progressive rock instrumental and it relates to the part of the movie where the girl entraps the priest and gathers her evidence. You can almost feel the neon lights of the city scenes. It has great movement to it. Paul Kirkpatrick: One of my favorites as well. 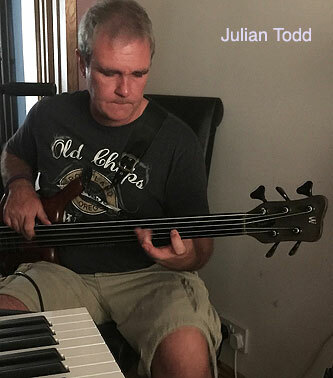 Inspired by some of the piano technique of early avant gard composer Erik Satie, it has a nice piano/fretless answer bridge which was great fun to record as I was trying to hum to Julian how the fretless bass should answer the piano. It's inspired in the early part by films such as Bladerunner with all the glitchy noise and cityscape background noise. Really loose drums as well give it that nice feel and almost military like rhythm. The toms were closely mapped to the fretless which helps emphasize that part as well. mwe3: The theme from Omertà is truly harrowing sounding. It relates to the start of the movie where the girl (as a child) sees the priest (secretly a mafia hit man), kill his victim in the church. Arent you afraid people will get nightmares from this or, are the crimes of real life even more scary? I know I couldnt sleep for days after seeing The Exorcist over Christmas in L.A. in 1973. Speaking of that movie, Mike Oldfield just happened to do that film, after the fact by accident. 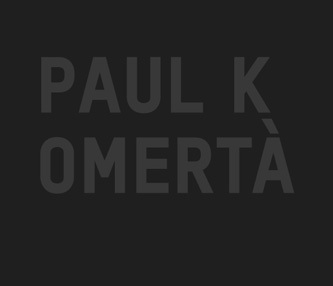 Paul Kirkpatrick: The theme from Omertà was deliberately kept sparse and haunting and the intro and reprise swap lead instruments in each version. The piano plays the string parts and the strings the piano in each version, which gives a darker hue to the melody. Hopefully no one will have nightmares! Mike Oldfield was certainly in the right place at the right time and its one of those magical moments when the two art forms, film and music, meet to produce a spectacular audiovisual feast! mwe3: All Is Now Lost is maybe my favorite cut on Omertà. The synths are really soaring on that. What synths keyboards are you playing on that track? Amazing, no overt guitars (ebow? ), yet its rock, prog and electronica wrapped up in one. It sounds pent up as it relates to the part of the story where the girl befriends the cop and she feels like its time to expose the priest / murderer. Paul Kirkpatrick: Yes, this is one of my favorites too and believe it or not, the main synth sound was actually inspired by the Abba track Arrival from their 1976 album of the same name. I love the timbre of the instruments on that track and its stuck in my head for years! The main synths are all Omnisphere and a synth called Rounds from NI. There are actually about 12 guitar tracks on there but we used a completely different guitar sound by experimenting with the Axe FX2 ambient pre-sets and honing them to give the guitar a more ethereal feel. It has a lot of eBow parts as well but we have deliberately blended the eBow and synths together to blur the lines between the two. Really big drums on there too with lots of driving toms and sometimes using the floor toms instead of the snare to give it that big tribal anthemic feel. It builds nicely which is all the pent up anger and aggression inside the girl and then bursts out at the end in to the more rock beat and guitar/keyboard/piano refrain with the bass playing the harmony. mwe3: So now you have this amazing album with a complete story line yet you still have to find a producer / director to put your gift as a soundtrack composer to good use and finally make this incredible soundtrack / screenplay into an incredible movie. Also I know you have a lot on your plate but you were speaking about another Glitch Code album and you say youre always writing yet, it would be nice to make Omertà into a masterpiece movie. Whats next? Paul Kirkpatrick: Well getting a film off the ground is far harder than writing and releasing an album but I am making some progress on getting people interested in the concept so who knows where that may lead. Ive actually started writing the next Glitch Code album which is provisionally entitled Reconstructed Memories and the follow up to Omertá which has a working title of Obsolete. Im also planning how I could perform Omertá live, perhaps with an orchestra, and working out if we could do a few Glitch Code shows. So lots going on as ever and Im looking forward to the next year or so of promoting both projects while working on the next releases!